Where: On any road especially in urban areas. Purpose: To indicate where you may park. 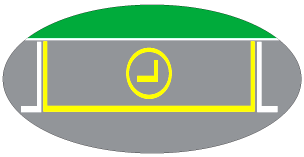 Action: Make sure that your vehicle is parked completely inside the lines that mark the parking bay. In the case of angle parking you must park as far as possible from the road, with the front of your vehicle not further than 150mm from the kerb but no part of the vehicle may be on or over the sidewalk. 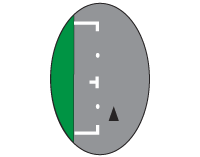 Purpose: To identify parking only for road users identified by the symbol. Action: If you are not part of the group identified by the sign, you may not park here. In an emergency you may stop or park at the sign that indicates the SOS telephone. Only goods vehicles may stop or park in the demarcated are that indicates a loading zone.